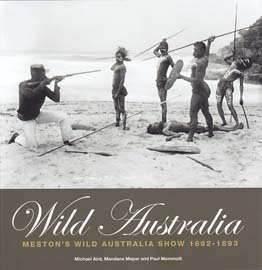 The 'Wild Australia Show' was conceived by Archibald Meston and was a travelling troupe of 27Aboriginal and Torres Strait Islander people conscripted from the Queensland frontier who performed in Brisbane, Sydney and Melbourne during 1892 and 1893 in preparation for departure on an international tour in the era of World Exhibitions. However the plans were curtailed by contractual disputes, scandals of financial incompetence and accusations of the capture of certain troupe members against their will in chains. The exhibition came out of a meticulous process of collection and research by Queensland Museum senior curators Michael Aird and Mandana Mapar, and University of Queensland academic, Professor Paul Memmott who place the previously unknown images in a visual and historic context. 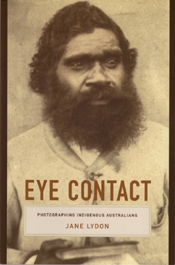 This exhibition catalogue uses the same title of Meston's show of more than 120 years ago, Wild Australia, and gives human dignity to the names and faces of the people in the photographs, whose strength of spirit and determination are evident in the gazes of the portrait subjects. During Jan Hasselbergs first stays at Tufi, he learned that the area has a very dramatic and interesting history and a great wealth of natural treasures. He was also met with warmth and hospitality, which made it natural for him to go back and experience more of what beautiful Tufi has to offer. The idea for Beautiful Tufi: Between the Past and the Future was born after the authors second visit to the area in 2006, and two years later, he started making serious preparations for the book. 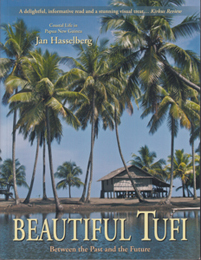 As with many other developing nations, much of the news that reaches the outside world about Papua New Guinea is of the negative kind, and the many misconceptions Hasselberg has met with abroad has also triggered his inspiration to fill in some of the missing pieces. After many hours of story-telling in shelters all along this fascinating coastline; after long canoe rides and hikes through the forests; and after an endless number of wonderful experiences, the author believes he has the material to give you an idea of what life at Tufi is like. Experience Beautiful Tufi: Between the Past and the Future as you immerse in this colorful, exciting and informative book. The Coranderrk Aboriginal Station was opened near Melbourne in Victoria in the 1860s. The photographs taken at Coranderrk were circulated across the western world; they were mounted in exhibition displays and classified among other ethnographic data within museum collections. Jane Lydon reveals how western society came to understand Aboriginal people through these images. At the same time the same time, she demonstrates that the photos were not solely a tool of colonial exploitation. The residents of Coranderrk had a sophisticated understanding of how they were portrayed, and they became adept at manipulating their representations. Aboriginal troopers  led by white officers  formed Queenslands Native Police: a much-feared force that was responsible for the deaths of large numbers of Aboriginal people. Secretive by nature, their workings have long been misunderstood. They would often burn their victims and not report their dispersals  a euphemism for mass murders and reprisal killings. But historian Jonathan Richards has spent years studying and documenting the forces brutal dispossession of Aboriginal people from their land. 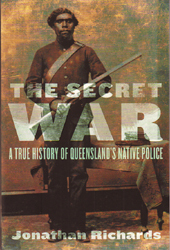 The Secret War is the culmination of his work and is the latest salvo in the History Wars that sees historians, politicians and writers arguing over the extent of Indigenous deaths in frontier clashes. It is an authoritative and groundbreaking contribution to our countrys white settlement history. This collection essays is firmly grounded in photographic practice, in the actual making of pictures, they deal with extraordinary diversity of non-Western photography. Featured are a selection of papers that were presented at the Looking Through Photographs conference that was held at the Queensland Museum in 1998. Includes essays by Jo-Anne Driessens, Michael Aird, Hulleah Tsinhnahjinnie, Roslyn Poignant, James Farris, Morris Low, Nicolas Peterson, Christopher Wright, Deborah Poole, Christopher Pinney, Heike Behrend and Stephen Sprague. 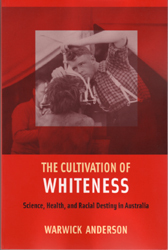 The Cultivating of Whitness is an award-winning history of scientific ideas about race and place in Australia from the time of the first European settlement through to World War II. Chronicling the extensive use of biological theories and practices in the construction and "Protection" of whiteness. Warwick Anderson describes how displaced "Britishness" (or whiteness) was defined by scientists and doctors in relation to a harsh, strange environment and in oppostion to other races. 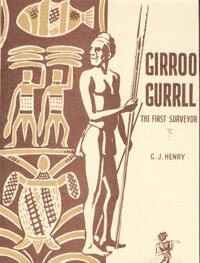 He also provides the first account of extensive scientific experimentation in the 1920s and 1930s on poor whites in tropical Australia and on Aboriginal people in central Australia. Captain Cook had captained two long voyages of discovery and had charted the east coast of Australia, New Zealand and innumerable islands in the Pacific. At the age of 47 he was awarded a comfortable pension for life and looked set to spend his retirement with his family in Greenwich. But after many years at sea he could not succumb to the monotony of life on shore. The Fatal Voyage is the story of his final epic journey when he led an expedition to search for the elusive North West Passage. He set sail from England in July 1776 but was never to return. He was killed in Hawaii in 1779. 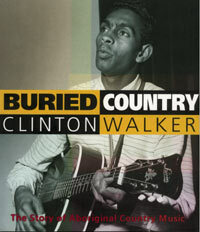 To some, black skin and country music may seem unlikely bedfellows. But from early stars like Jimmy Little and Herb Laughton through Dougie and Wilga Williams to Vic Sims, Bob 'Brown Skin baby' Randal, Bobby McLeod, Issac Yama and Roger Knox. Aboriginal country music is a very real phenomenon. A long rich tradition that's still alive today in Troy Cassar-Daley and Archie Roach. A unique book featuring traditional legends from the Murray Upper and Tully region of north Queensland. The book is illustrated with the artwork of Tommy Warroon and drawings by Gladys Henry. A list of traditional words and meanings is also included. First published in 1959 and long recognised as a classic this is the revised edition of Franco Venturi's famous account of the most fascinating period of Russian revolutionary history. 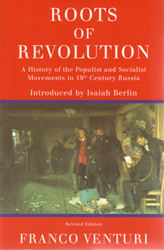 Taking as a starting date the 1848 revolution which chrystalized Populist ideology in the minds of herzen, Bakunin, Chernyshevsky and other intellectuals, Venturi examines Russia's internal and external problems and the ideals and beleifs of her subjects in so far as they touch on the formation and development of Populism. The core of the book concentrates on an account of the conspiracies and struggles through which Populism expressed itself. 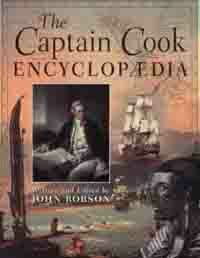 This encyclopedia aims to provide answers on all aspects of the life and voyages of Captain James Cook, and the people, places, events and ships associated with him. 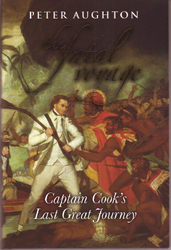 Researched and written by leading Cook experts, it both reflects the traditional views of Cook while incorporating the latest reassesments, especially noting the attitudes of the peoples of the Pacific on whose lives Cook made such an impact. 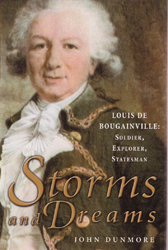 Louis-ANtoine Comte de Bouganville is best known for his circumnavigation of the world in 1766 and 1769. Throughout a long and distinguished life, however, he participated in many of the turning points of world history: the birth of the United States, the fall of French Canada, the opening of the Pacific, the French Revolution and Revolutionary Wars, the crowning of Napoleon and the Modernisation of France. 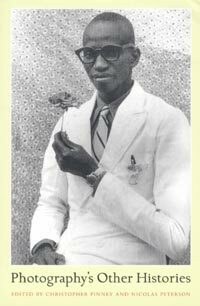 A true man of the Enlightment, he was gifted in vavigation, seamanship, soldiering, mathamatics, longitude and latitude - many of the arts that made his age one of the most productive and creative in modern history. Portraits of Our Elders is an important collection of studio photographs of Aborigines taken from the 1860s to the 1920s. 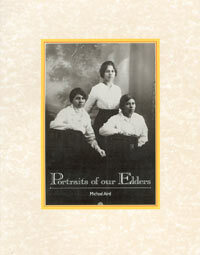 This book accompanied the Queensland Museum's exhibition Portraits of our Elders which travelled extensively throughout the 1990s. Michael Aird has compiled photographs from the exhibition as well as others from private collections. Through these photographs you can look into the eyes of these elders and ask yourself about the lives thay may have lived. These photographs give an insight into the changes in Europeans perceptions of Aborigines and of Aborigines' perceptions of themselves.